FEB 8 (FRI) 8:07 P.M.
FEB 9 (SAT) 6:07 P.M.
On campus,today! @KSTPSports @ChrisLongKSTP talking with #1 @SCSUHUSKIES_MH Jimmy Schuldt, Brett Larson and Ryan Poehling. 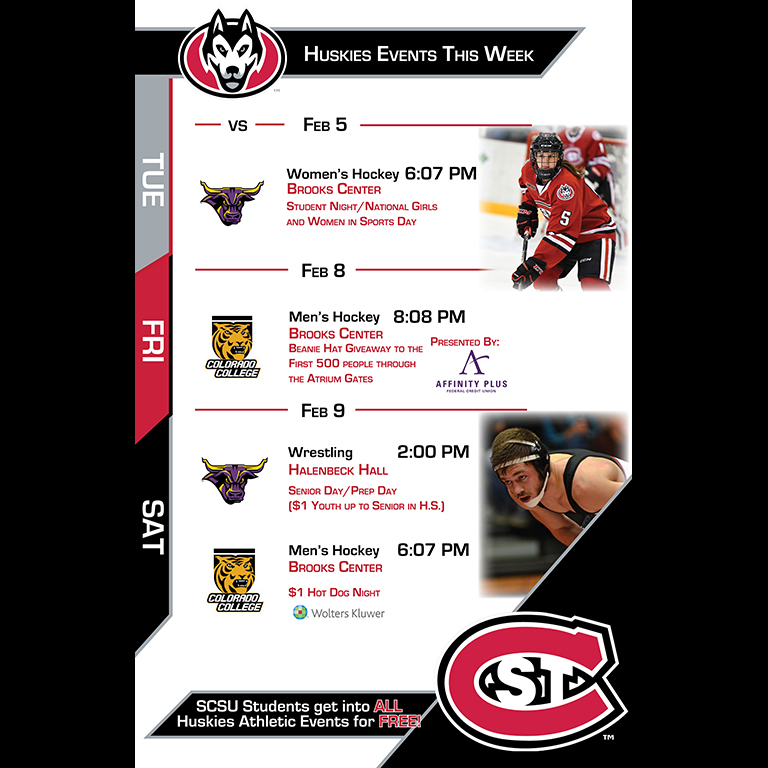 Are you ready for the #1 Huskies matchup against @CC_Hockey1 this weekend? Check out the weekend preview with Madison Golden and @MickHatten to know what to expect coming into the weekend. Huskies celebrate another goal at the HBNHC. Is the game available to be streamed online tonight? Probably not nchc.tv since it's on CBS Sports Network. If you have cable that carries CBS Sports you can stream it. Otherwise no unless you can find a CBS pirated site. If you have Hulu it has the CBS Sports Network logo at the bottom. Never tried it since I have Spectrum. Not familiar with Amazon prime etc. 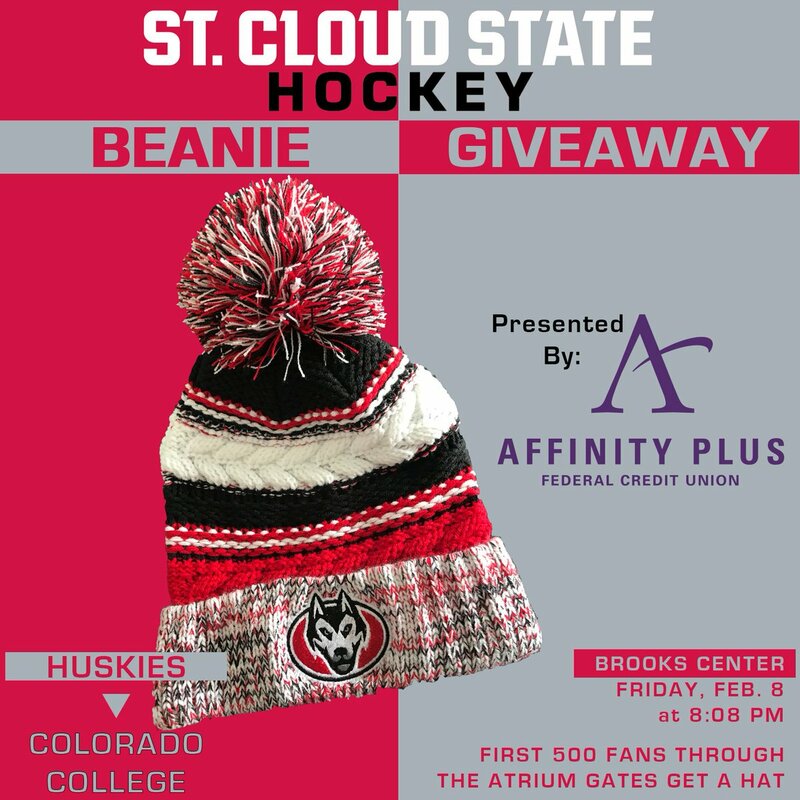 Sorry, really busy today so I didn't post the USCHO and nchchockey links. Don't have time and will not be on tonight, leaving for the game shortly. If you have access to reliable fast internet YoutubeTV is great, 36/m for and ring you need. The Huskies win it in the 3-on-3!!! Ryan Poehling on the Power-Play exactly one minute into the extra session! Awesome game, we picked up 2 of 3 Points!! Colorado College deserves credit, they are a much better team then what we've seen the last 5 years, but that was not a fun game to watch. Between fluky goals, no idea when the refs are gonna decide a penalty is a penalty a great defensive effort on the other side and failing to make the play when needed I'm almost surprised we didn't let that turn into a 4-1 game that maybe we make a game of late. At this point it's all about the Penrose for me (I should check the tie might have officially clinched the NCAA bid) so 2 points isn't to far off the goal of 3, but we have to be better. Hrenek took care of business but he didn't look good in the process either. 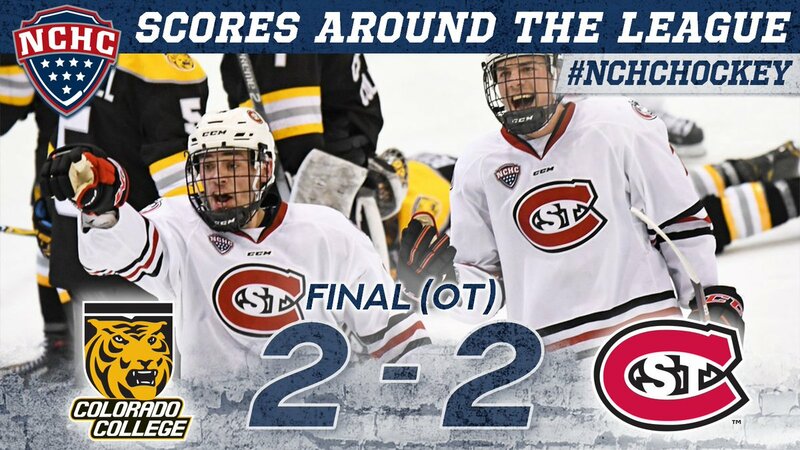 Jack and Nick Poehling celebrate a SCSU goal on Feb. 8 vs. CC. 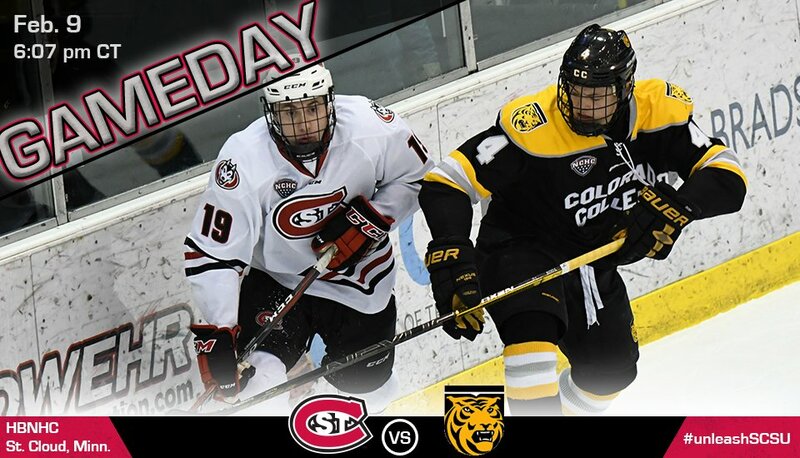 Goals by Nick Poehling and Jack Poehling help @SCSUHUSKIES_MH chart 2-2 OT decision vs. CC on Feb. 8 at the HBNHC. 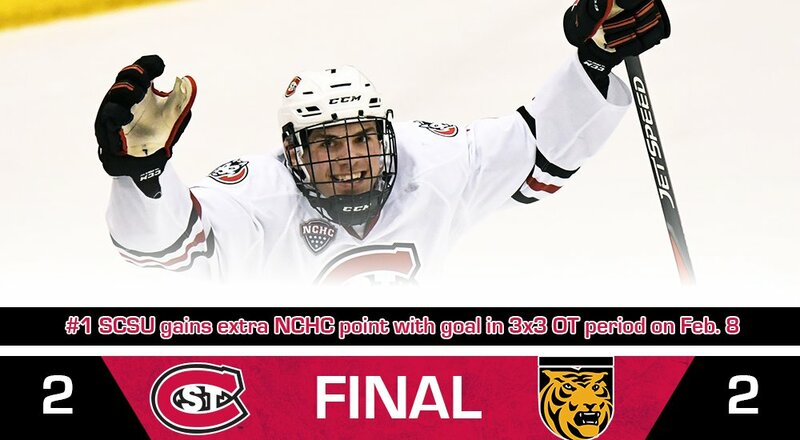 Ryan Poehling's goal in 3x3 OT gives the Huskies the extra @TheNCHC point. HUSKIES WIN! Start your day off right tomorrow morning, with your St. Cloud Tim Horton’s. Be sure to stop in before noon for your free medium cup of coffee!